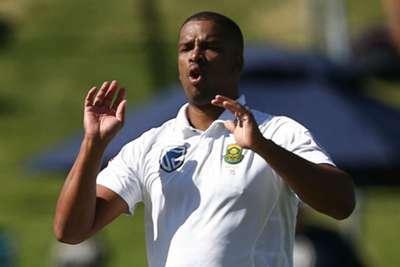 South Africa seamer Vernon Philander has been ruled out of the first Test against Pakistan due to a hairline fracture of his right thumb. The Proteas had already lost Lungi Ngidi for the three-match series and Philander will also miss the Boxing Day Test at Centurion after only recently recovering from an ankle injury. "If you look at where we are, [Dale] Steyn, [Kagiso] Rabada and [Duanne] Olivier become very important to us. We just want to manage them as best we can. "We've seen how Dale's been going. I don't want to say we've seen a transformation because he's always been a top player, but he's back to full fitness and performing like the player of old. KG [Rabada] as always is very important to us. "You've got Steyn, Rabada, Philander, Ngidi and Olivier, who's been in and out, but always in our thinking. That's the making of a good attack in any form of the game. "My job now is to keep them fit and fresh for them to be at their peak at international level."